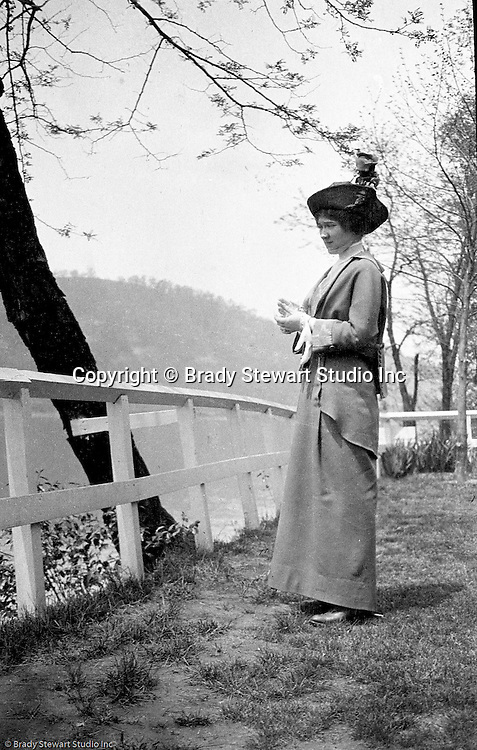 Highland Park: Sarah Stewart taking a break from a stroll through Highland Park with Brady Stewart - 1912. Allegheny River in the background. During this time, Brady Stewart lived 5801 Wellesley Avenue in Highland Park not far from the park entrance.